Why the 2018 FIFA World Cup could be your ticket to win big! 98% of sports bettors NEVER make any money! Over $90 billion will change hands during the summer sports season. Most of it will be lost, of course. Wasted on ill-informed... Over-emotional... Over hopeful... And sometimes downright stupid bets. On the 14th of June 2018, the 2018 Soccer World Cup kick’s off, and runs through to the 15th of July 2018. 3.2 billion people worldwide watched the world cup, that’s 46% of the global population around the world will be watching and many of them will place their first bets on the tournament. But when the final whistles blow, only a few will collect winnings. And often just blind HOPE! Secondly, because the key information you need to take advantage of the huge number of markets available, isn’t easy to find. After all - who knows anything about the players of Argentina or Germany...? Where can you track-down the all-important form of the Polish and Brazilians...? We have the inside scoop of information that could help you predict the winners and losers with pinpoint accuracy. Germany have the most impressive World Cup titles, being the only team to reach the quarter-finals 17 times, the semi-finals 12 times and the finals 8 times. It’s these “insider secrets” that gives the Winning Streak team the upper hand in spotting the winners and losers. 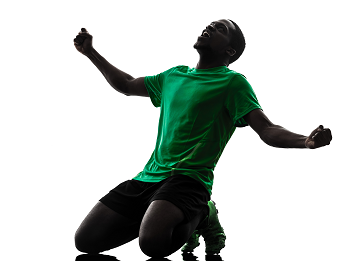 The Winning Streak tipsters are made up of a network of experienced, expert sports statisticians, monitors and investigators who carefully watch every game, every try and every penalty to help you find the winning bets. Hell, we beat ‘em every day. And when you hear what we have to share with you today, you’ll realise that you can too. "I am R3,022.50 up in total across all four betting sites. (75.56% gain on all bet deposits - also in part thanks to the head start of registration bonuses from 2 of the bookies) I have recovered my entire years' service fee with TWS and have earned almost double the interest I would've earned on a bank savings account"
Every time our experts have identified a fool-proof sports bet, you’ll get a personal email and SMS – written in plain English – giving you specific advice on WHAT to bet on... WHERE to place it... and HOW MUCH you’ll win! So how can you know our bet ideas will be winners? Well, it all comes down to simple MATHS! The facts don't lie - the only betting strategies that win out over time are based purely on actual match statistics! No opinions... No emotion... No luck involved. And not a soccer ‘pundit’ in sight! Brazil and Italy are the only two teams to ever retain the title. Brazil in 1958 and 1962 and Italy in 1934 and 1938. Brazil is also the only team to have competed in every World Cup tournament. And our experts know how to 'read' facts - thanks to their complex mathematical, analytical formula - that compares these statistics along with the odds and probabilities data provided by the bookies - to identify sports bets that are practically guaranteed to result in a winning streak! So, how much do we charge for this potentially life-changing service? Professional tipsters are known to charge hundreds of rands per tip they put out. But we won’t charge you anywhere NEAR that! As a loyal FSPInvest.co.za reader, you’ll get access to easy money from ALL the sports bets our team of experts identify for just R270 a month! That’s around R8.70 a day... Less than the price of a cup of coffee! And you’ll easily make that money back from just ONE of our tips! Best of all, you're not only limited to the 2018 Soccer World Cup bets... Because we'll make sure that you get every sporting opportunity. An honest crack at an insider’s edge that’s so effective – it’s nothing less than performance enhancing drugs for your own bottom line profits! and how Conor McGregor spectacularly knocked out Jose Aldo in 13 seconds..
What about when we placed a double bet that saw our profits roll in, as New Zealand and South Africa won their matches at the IRB Junior World Cup. …So you must understand that what we’re about to reveal must be nothing less than an all-out game-changer. And if you’re up for it, a reserved spot is waiting for you right here in the winner’s circle. Before we tell you more details, let us tell you a little bit about ourselves. Our job is to watch YOUR favourite sports on our big screen TV and cash in on them over and over again. And it pays out at least 60% of the time. That’s right! For every ten bets we place, we’re pocketing cash on at least six of them… And you could be too! It’s all about tipping the odds in your favour with consistently profitable sports betting. You see, most people treat sports betting like it’s supposed to be a hit-and-miss affair. They follow their emotions and get sucked in by what the media says about their favourite sports team. And they lose big time! But every week the team and I, send betting tips via email and SMS, on certain sporting events, so our members can bank steady, growing returns on your favourite sports. And we do it through a service called The Winning Streak. 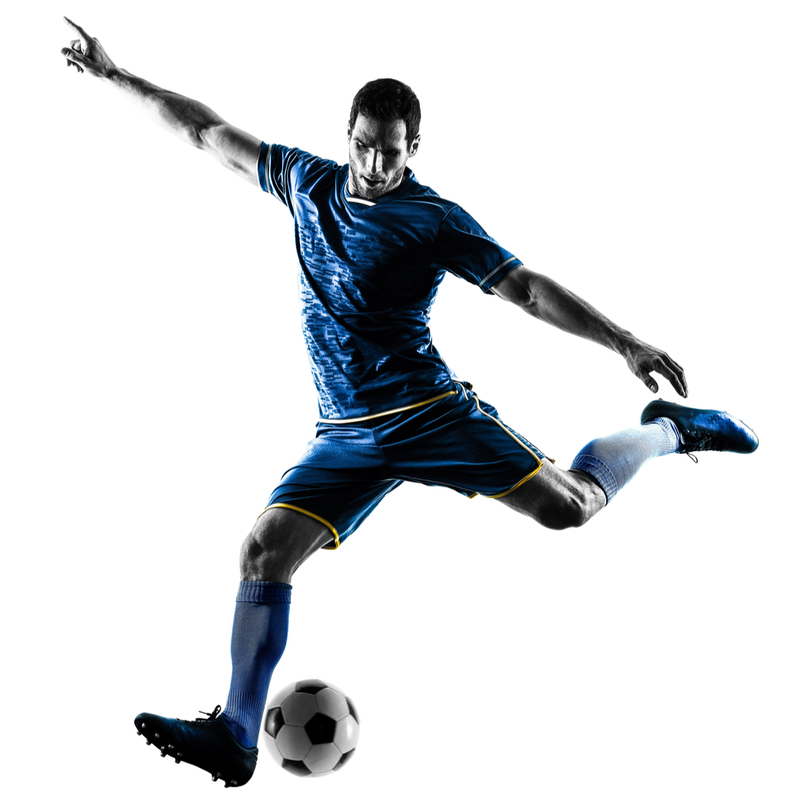 The Winning Streak is a sports betting and tipping service dedicated to helping ordinary South Africans bank serious money from the sport’s world in just 10 minutes a week! And did I mention all of these gains are completely tax-free? You see, the profits we make fall into a special loophole SARS hasn’t yet found a way to fill. And that means more money in your pocket. "I have managed to make this a total pool of around R22,000 and have just paid for my December cruise to Mauritius because of this..."
Getting the exact specifications we’re looking for and making sure the timing is perfect… You could say numbers are in our blood. But the truth is, it’s boring work. So to keep ourselves from getting knackered, we sometimes take a break and use our numbers skills to work out the odds and offers on other more exciting things… Just for fun. No high stakes … No arbs. Just a quick way to pass the time and make some decent cash in the process. …Was actually starting to add up. …And this was pure profit! Before we knew it, we added up our little “side project,” and realised we were consistently making profits of over R500 in a weekend – just by running down these low-risk overlooked bonuses we’d been playing with just for fun! These overlooked offers were like little firecrackers packed with explosive profits… Pure, concentrated, maximum yield. To share this with our members, we realised we’d literally have to invite them into our office and show them first-hand how to cash in on these low-stakes profit maximisers. We needed to do something different … We had to uncover an entirely new way of bringing this to our tribe. …And personally guide you to your first R1,180 payoff?! …But after a few weeks of planning and preparation, we finally found the answer! We’d come to you to give you the insider’s edge. Today, we’re offering something that is unlike anything else in the South African betting world. Designed to offer unprecedented access to the rewards from every betting tool we personally use to generate low-risk, tax-free profits of up to R1,180 or more per WEEKEND – in our spare time! …Using the incredible new system that has already allowed some of our members to more than double their money in just a matter of weeks!! This new ‘specialised bet’ has been overlooked by every other so-called “insider” because they can’t get it right… We’ve cracked the code, and we’re going to let you in on the secret! When you join as a member of The Winning Streak, you’ll be added to our private mailing list. Now I must warn you, the number of names we’ll place on this list is strictly limited. Unfortunately this is not by choice but by necessity. You see, if too many people receive and start placing our top bets, the bookies will catch on and know something is up. And that’ll see them move the odds. Once you’re signed up, you’ll start receiving our specially screened bets via email. And just to make sure you don’t miss out while you’re not at your computer, we’ll even SMS you the details of the bet. That way you can be quick on the draw and get into the bets fast. – It’s as good as us coming up to you and telling you where to bet. Then all you need to do is place the bet – don’t worry if you don’t know how to do this, we’ll explain everything – Sit back and wait for your tax free winnings to come rolling in. It’s really just this simple… Sign up today and see for yourself! The information we’ll SMS you every week could turn R1,000 staked into R3,000 profit! And that’s not all you’ll get with your membership to The Winning Streak. Our risk-free 30 day guarantee – If for any reason you’re not 100% elated with the profits you’ve made – and the support you’ve received – let us know at any time in the first 30 days, and we’ll refund every single cent of your purchase – no questions asked. A risk-free offer to making cash on-demand? If it were any easier, it’d be cheating . There’s a few things you need to know about The Winning Streak. With it you’ll cash in by simply following the bonuses and offers we’ve already pre-screened inside The Winning Streak HQ – and the regular updates we send via email. But for the real juice to kick in, you’re going to want to maximise your profit potential by following every single one of our tips – this is where the real magic starts to happen! This is a brand new opportunity to skyrocket your winnings with a completely new income stream! I don’t make the rules… I just exploit them. So if you’re interested in making fast, tax-free pay-outs, it’s time to tip the odds in your favour! For all our tips we’ll take you through step by step how to put yourself in the profit seat. We’ll send you an SMS that looks something like this and a follow up email to explain everything. IMPORTANT - 1 Point is equivalent to what ever you are willing to stake! That can be anything from R50 to R1000, it all depends on how much you want to profit! We’re expecting ALL the open places to be snapped up fast! It looks like you’ve timed it just about right to join The Winning Streak! We’re only looking for serious individuals who fancy making big profits from sports betting. We’ll help those people make R1,180 or more EVERY WEEK even if they’ve never placed a bet before in their life. If this sounds exciting to you, we need to hear from you quickly... But we also need you to keep a lid on it! We need your assurance that this will be between us. Remember - the more people that try to bet with us, the more difficult it will be to get in at the prices we find... And the easier it will be for the bookies to notice something's wrong. If you're with us, we expect complete discretion. We’re pretty sure that once you start seeing the money come in you'll be happy to keep this under your hat; that's all we ask: Make as much cash as you want, just don't go blabbing about how you did it! Limited-Time Discount – Next 30 days Only!! Our products pay for themselves – usually within the first week or two of your purchase. But I don’t want you to have any reservations about how special The Winning Streak is… It’s an exciting concept unlike anything else being offered in the marketplace … And we want you to get in on the action as quickly as possible. So if you’re quick on the draw, you can get The Winning Streak for the next 30 days with our limited 27% discount (Normally R370, today R270 per month) – that’s another R100 you can add to your bottom line today! 30 days from now, will you look at yourself and know that you took decisive action when you had the chance? Will you find yourself – as we did – adding up each and every rand and wondering how you became so flush with cash with such little effort? … Or worse – returning only to discover The Winning Streak has reached the maximum sustainable membership – and the “TRY IT NOW” button replaced with a big fat CLOSED sign instead! An insider’s edge … A guaranteed “fix” in the game. With The Winning Streak, your unfair advantage is waiting for you in every offer, in every bonus – every time you place a bet … The deck is stacked in your favour. Start right now, and make your first R1,180 while you watch your favourite sport. We’re all in here … Waiting for you … And winning. If you’re ready to win, you know where to find us. PS: Remember – to get you started today, we’re offering a limited R100 discount off the official price of R370 for the next 30 days – we’re probably crazy for doing so. And you won’t ever find us offering another deal like this – period. So before that deal expires – or before demand requires us to lock the doors for the next 12 months on this offer – you’ll want to get in the game today. Yes! I want to have the 'Insiders Edge' on my next sports bet.